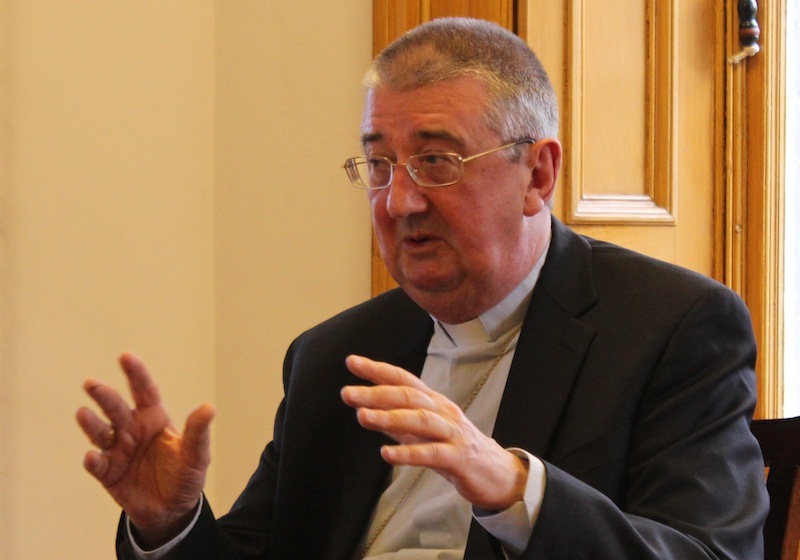 Dublin Archbishop Diarmuid Martin on April 18, 2018, stressed the need for the social doctrine of the Church to be in dialogue with the social sciences, politics, and financial affairs. His remarks came during a press conference to present the activity of the “Centesimus Annus – Pro Pontifice” Foundation (to promote awareness of the Social Doctrine of the Catholic Church) on the occasion of its 25th Anniversary and of the International Convention “New Policies and Life-Styles in the Digital Age”, which will take place in Rome in Palazzo della Cancelleria from May 24-26, 2018. Among the many challenges, he pointed out, is achieving equity in the company of economic development. That is, countries may grow their economies, but there is unequal advancement of the population and corruption leaves many in poverty. Closely related to the need for equity is the need for availability of jobs, he continued. And the family must have a central place in all development. Finally, migration is a factor that must be considered in a way that protects the family. The Centesimus Annus – Pro Pontifice Foundation (CAPP) was established by Saint John Paul II in 1993 as an open forum for debate to promote the study and dissemination of the social doctrine of the Catholic Church. It is a foundation that operates under the jurisdiction of the Vatican and is connected to the APSA (Administration of the Patrimony of the Apostolic See). “Over the years, the Foundation has focused on practical possibilities, for the business world and the economy in general, of a professional commitment based on virtue, the responsible management of the economy and the use of technological innovation promoting equal opportunities and entrepreneurship in line with the principles of global sustainability,” said Dr. Domingo Sugranyes Bickel, president of the foundation’s board during the April 18 conference. “The above was achieved by pooling the experiences of economic managers and companies with economists and university specialists in the field of social sciences, all engaged in the search for a common ethical compass.